To announce your support for our initiative to protect and restore sacred sites in the world. To give back to Indigenous Peoples the sacred objects and artifacts that are in possession of the Vatican and to support our demand to Nation States in this regard. To rescind the historical Papal Bulls, affecting indigenous peoples lives and territories. 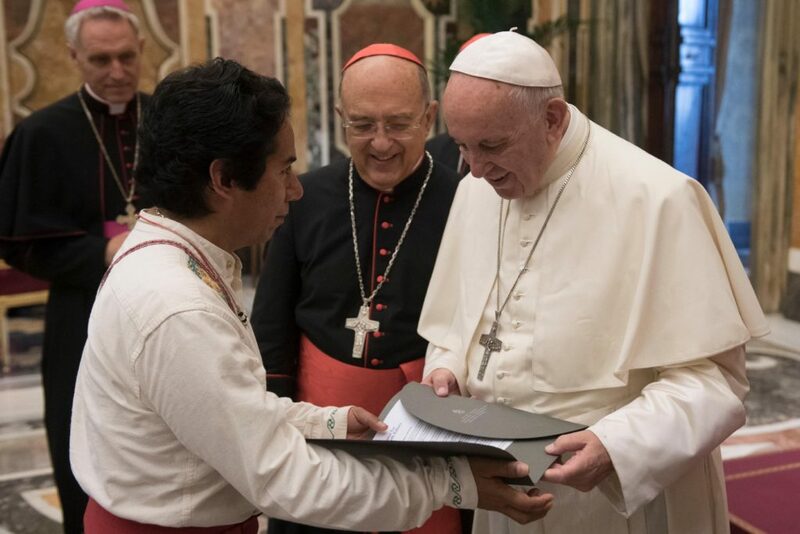 Indigenous Peoples Representative in the Vatican City, July 4, 2018.